After being promoted to BJJ Purple Belt last week,Tiger Muay Thai and MMA training camp, Phuket, Thailand’s Wiktor Svensson put his grappling techniques on display in his third professional MMA fight against a fighter flown from the United States to compete in the Singapore based Martial Combat promotion. Chris Moore of the Fairtex California gym was a step up in competition for Wiktor and he passed with flying colors. 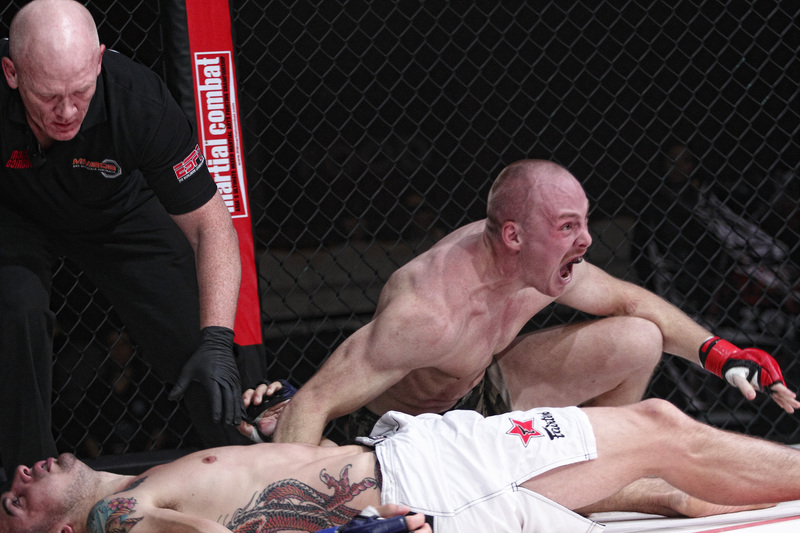 Attempting a guillotine choke, Wiktor transitioned to a Triangle attempt before his opponent wisely backed out and tried to bring the fight back standing. Working an open guard while his opponent was trying to walk away, Wiktor swept him and gained top control. Keeping good posture Svennson passed a poorly executed rubber guard to gain side control. Sprawling his hips and rotating to the North South position, Wiktor locked in the fight ending “D’arce” submission halfway through round one. The very tough Chris Moore decided to passout from lack of oxygen rather than tap to the submission. Martial Combat is Asia’s number one MMA event, being promoted by ESPN STAR Sports and showcased in 24 countries to over 310 million homes by the ESPN broadcasting network. Ray Elbe and Claire Haigh will be competing for the promotion next month.Elbe continued with another excellent job as color commentator for the ESPN show with his knowledge of BJJ, MMA, and Muay Thai coming through in his announcing skills.